We had a blast when we attended the Shell Bike Fair 2016 happened last September 24, Saturday. 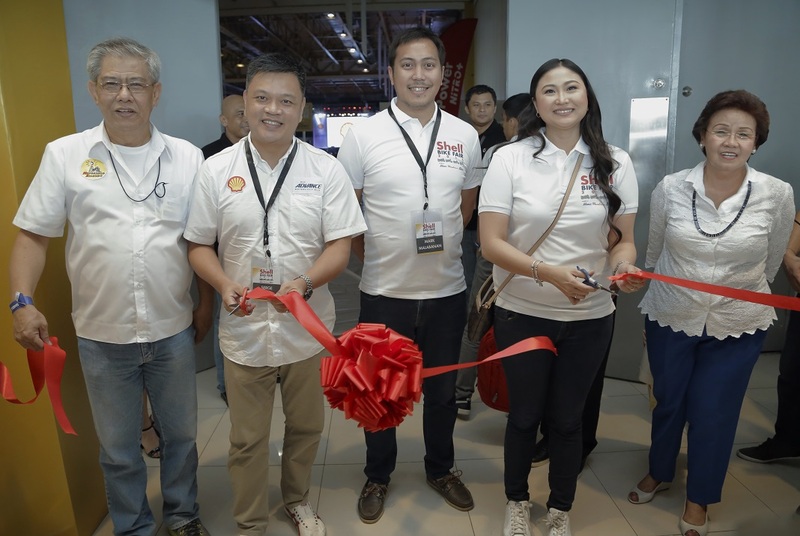 Motorcycle riders, media personalities, motorcycle enthusiasts graced the event as they support the local motorcycle/bike community and of course Shell Philippines. Pilipinas Shell held a fun-filled event where attendees can line-up in different Shell booths and win exciting prizes. There's also a photo booth and have your photo taken w/ the Shell backdrop, all for free, so the good memories will last. One of the memorable things happened during the Shell Bike Fair 2016 aside from the booths and OPM bands who rocked their lungs out, are celebs who had their photos taken with the attendees. Lots of games and prizes were also given away including a brand new motorcycle. Shell Bike Fair 2016 - Celebrity Guests. Can you name them all correctly? 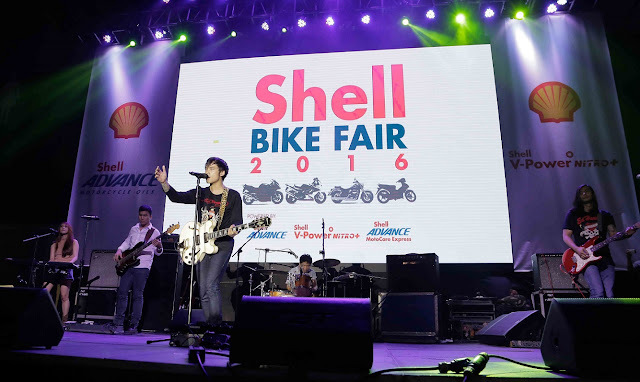 Coming from a successful celebration of all things motorcycle last year, Pilipinas Shell takes things to the next level by hosting a bigger and grander Shell Bike Fair 2016. 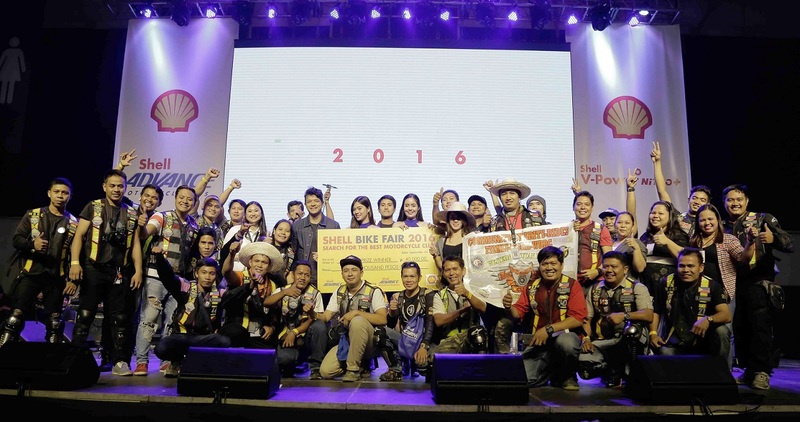 To show Shell’s appreciation for the motorcycle community, this year’s Shell Bike Fair is a series of three grand events in Luzon, Visayas, and Mindanao. The three-part celebration was made possible by Shell Advance, Shell Advance MotoCare Express and Shell V-Power Nitro+. FHM Model and Bubble Gang mainstay Kim Domingo was also spotted. Too bad we didn't get the chance to have a picture with her. Last September 24, the third and final leg of the Shell Bike Fair 2016 was held at the World Trade Center through a day filled with games and entertainment for the company’s valued customers. Upon entering the world-class location, the attendees were treated to fun demos and games at the different booths set up throughout the venue. Exciting performances by Imago, Gracenote, Parokya ni Edgar, Callalily and Mocha Girls plus other surprise celebrity appearances brought the house down, with the crowd partying along to their favorite hits. The event ended on a high note as several motorcycle clubs received special prizes and three lucky guests brought home their brand new motorcycles. Shell aims to demonstrate that it is a trusted partner of motorists in their every ride. Using Shell Advance can help provide easier engine starts, as well as long-term cleanliness and overall maximum protection, for a smoother ride on the road. To cater specifically to the needs of motorcycle riders, the Shell Advance MotoCare Express aims to provide professional and convenient motorcycle servicing at a more affordable price. Shell’s world-class lubricants and trusted service go hand in hand with the use of Shell V-Power Nitro+, Shell’s premium performance fuels, which are designed to fight gunk and corrosion. And lastly, Shell aims to make every visit to a gas station worthwhile through the wide array of snacks, refreshments and hot meals that Shell Select offers for riders on the go. [L-R] Edwin Go (Motorsiklo Xclusibo), Serge Bernal (Marketing Manager for Philippines and Thailand), Mark Malabanan (Senior Fuels Brand Manager) Recca Menchavez (Shell Advance Brand Manager) and Lyn Montoya (Shell Retailer) open the gates to the final leg of the Shell Bike Fair 2016. “For over 100 years, Pilipinas Shell's products and services have evolved to meet the current needs of Filipino motorists. We want our customers to know that Shell is every Filipino motorist's partner on the road. Aside from quality lubricants and fuels, offerings such as the Shell Select convenience store, Shell Advance MotoCare Express and other integrated services, Shell has evolved into more than just a gas station – it is a pit stop that fuels both you and your motorcycles,” said Anthony Lawrence Yam, Pilipinas Shell Vice President for Retail. 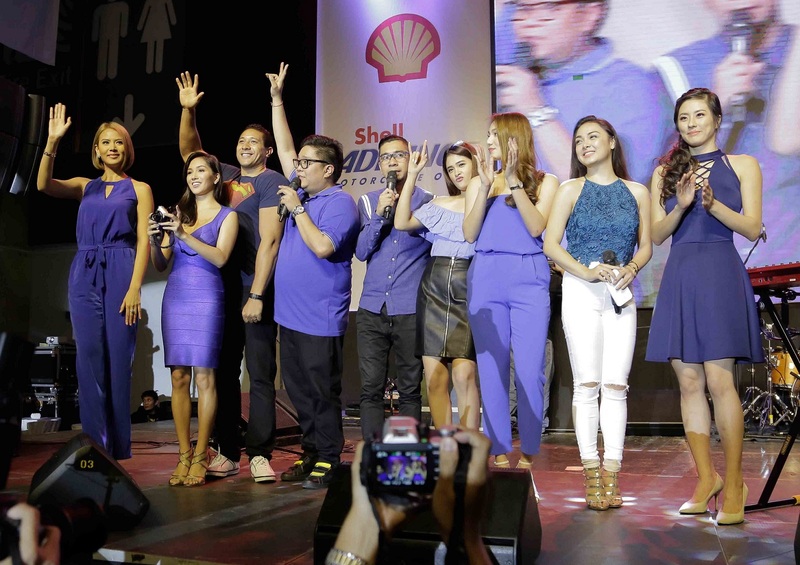 A bind was made during the event as Pilipinas Shell promises that there's a bigger, grander Shell Bike Fair that will grace Manila next year. Are you already looking forward to Shell Bike Fair 2017?